India is a large, very large country. It has an enormous variety of landscapes: the high peaks of the Himalayas, the dry deserts in the northwest, the fertile catchment areas of the Ganges and the mighty Brahmaputra, the tiger forests of the central highland and the tropical coasts towards the southern tip of the country . 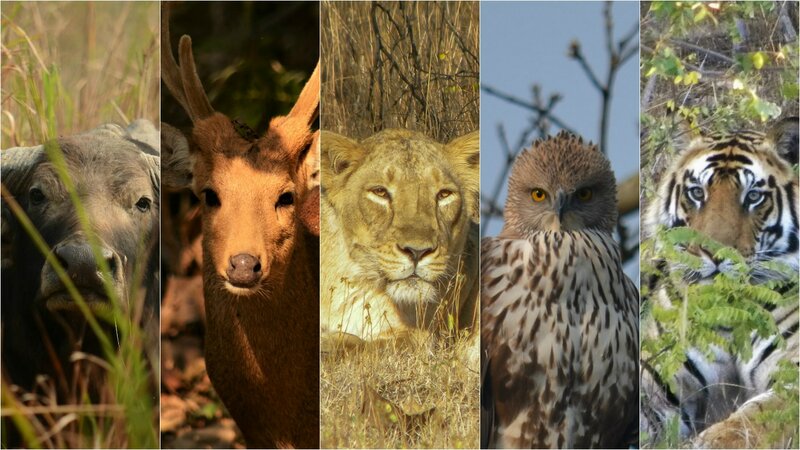 As diverse as nature is, are the ways to go on safari in the National Parks and Wildlife Sanctuaries. You can explore small Bharatpur by bike or by rickshaw. You sail the Sundarbans by boat and explore Gibbon Wildlife Sanctuary on foot. The large reserves are the terrain of the gypsy, the Indian version of the jeep. If you want to see the rare snow leopard you will have to go to the Himalayas on the back of a yak at -20° C.
Essential for all of this is a good guide. Safari in India is different from driving the African savannah in a Landrover. Safari in India means listening to the sounds of the jungle. A good guide can derive from the alarm calls of deer and monkeys where a tiger will show up. He knows the behavior of the animals and tries to predict where they will end up. Popular National Parks can be busy. To provide sufficient rest to the wildlife there are often only a limited number of safari routes available for tourists; the core area is accessible only to rangers. During (Indian) holidays parks like Ranthambore and Tadoba will overflow with visitors. Proper planning can often bypass the largest crowds. Most of the pages on this site are in Dutch, translation to english is in progress but might take some time.